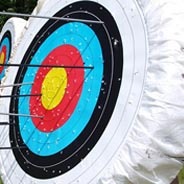 Learn how to shoot with a bow and arrow! If you're an expert, hit the bullseye for a free snack from the rec room! Activities are always supervised for safety. Paint a plaque, make a leather bookmark, put together a wooden car! 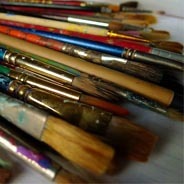 You'll always find something great to make at the Craft Deck! 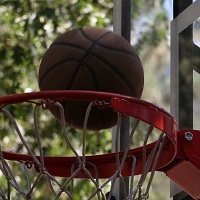 Practice your shooting, play a game of horse or knockout, or play a full game on our outdoor basketball court! 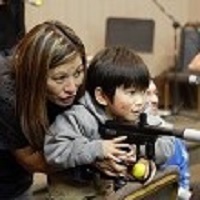 Played just like paintball, Bazooka Ball is less messy and less painful and uses soft balls. Bazooka Ball is a great indoor game for groups of all sizes! Jackson Lake is a public lake that's almost a stone's throw away from camp. 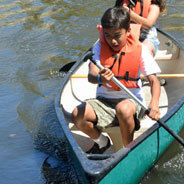 We have canoes and lifeguards available for your group to enjoy the lake. Note: the lake is closed during the winter and lake conditions fluctuate during the year. 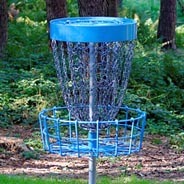 Scattered around the campgrouns, our Disc Golf stations are a great way to have outdoor fun! Play and relax with a small group or compete with each other as an entire camp! 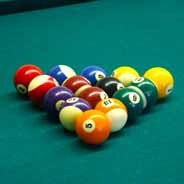 Our Rec Room is full of fun games - ping pong/table tennis, foosball, and pool/billiards. The rec room is a great place to hang out and relax! 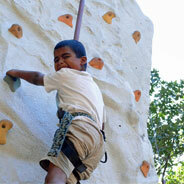 Practice scaling our rock wall! With four levels of difficulty, the rock climbing wall is a great way to challenge yourself, challenge your friends, and get a great workout! Activities are supervised for safety. When the weather is right, you'll find camp covered in snow! The slopes behind the dining hall are great for sled runs! 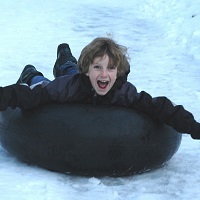 Bring your own sled or use one of our inner tubes to sled down the snowy slope! 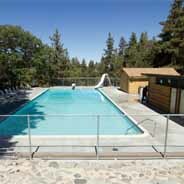 Our pool is open during the summer and is a great way to escape the summer heat! Jump off of the diving board, slide down the water slide, or play basketball in the shallow end! A lifeguard is present at all times that the pool is open. 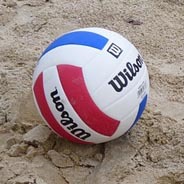 Open all year round, our sandy (and sometimes snowy) volleyball courts are a great way to have fun!